Summer tours are conducted daily while camp is in session, the only exceptions being opening weekend, Parent’s Visiting Day weekend and closing weekend of camp. 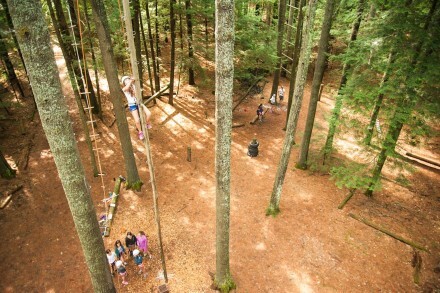 Approximately 90 minutes long, tours are an ideal way for families to get a sense of what Echo Lake is all about. During the tour, you will have an opportunity to see camp in action, and spend time with our Directors, Tony Stein and Laurie Rinke. Because we conduct private tours for each visiting family, our tour schedule fills up every summer. Please call us as soon as you know when you would like to visit so that we can give you a time that is most convenient for you. Another great way to experience what Camp Echo Lake has to offer is by enrolling your child in our S’more Camp, which is being held on Saturday, July 20th from 1:30-7:30pm. S’more Camp, a hands-on experience for the entire family, is available to new families with children entering grades 1-4 in 2019. The visit includes three activity periods for your child(ren), a tour for parents, evening lineup and a BBQ /campfire for the entire family. 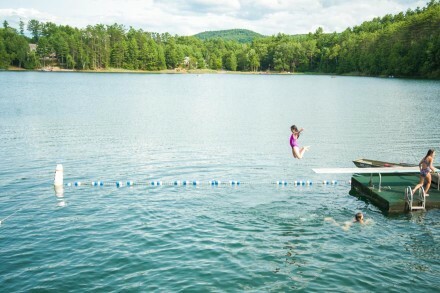 We would love to see you at Camp Echo Lake this summer. To schedule a visit, please call our office at (518) 623-9635. The Adirondack Mountains have a lot to offer beyond picturesque beauty: fine dining, fun family activities, world class hiking, abundant lakes and rivers and a magical hometown environment. The shops of Lake George are just 10 minutes away from camp, and just a half hour south from us is the Saratoga Performing Arts Center and the Saratoga Race Course. Diamond Point and Lake George are both 10-15 minute drives from camp. Glens Falls and North Creek are both 20 minutes from camp. Saratoga Springs is 30 minutes from camp. Area lodging is listed below or visit any of the above websites for more information. Many more hotels can be found here.